It looks so good. 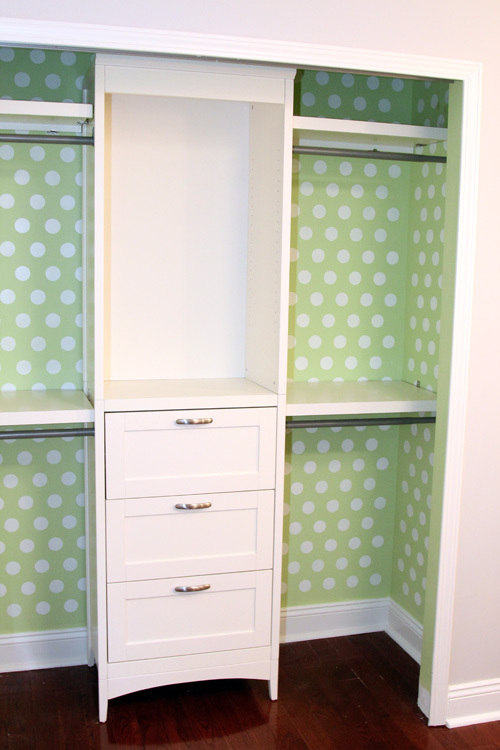 I want a closet like that right now!! 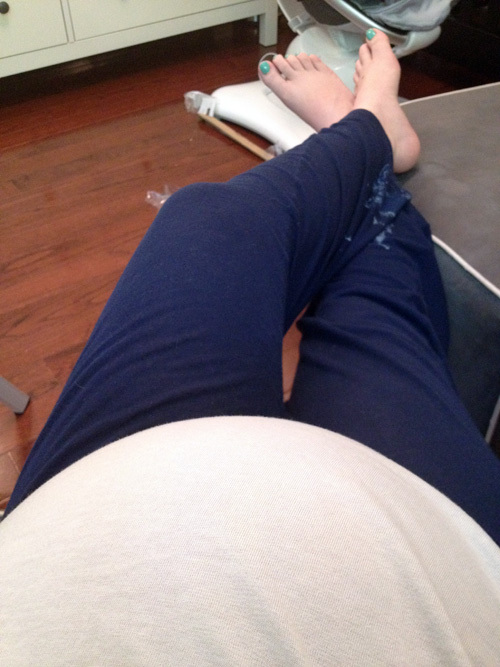 I can not wait to see the baby reveal. Everytime I log onto your blog I think, ok today is the day!! It looks great. What an awesome organization system! 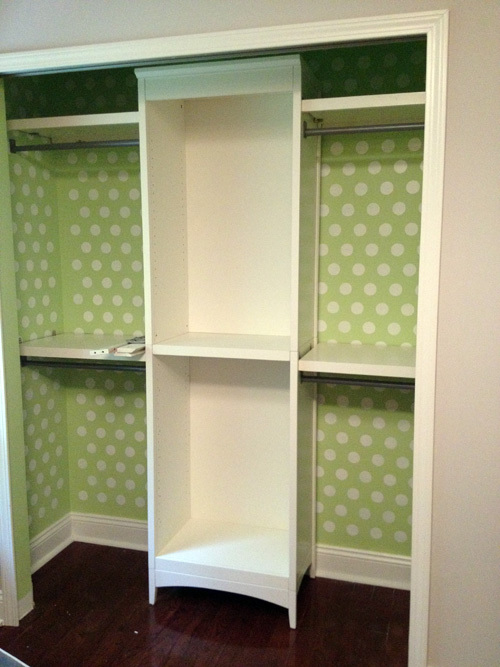 The closet looks great! 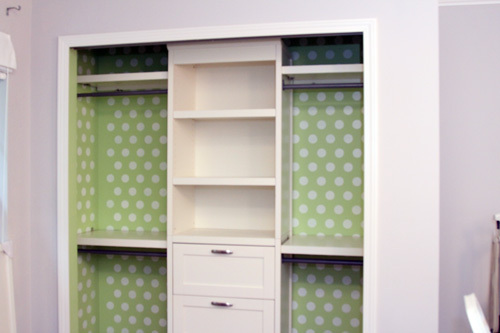 I wish I had this set up in my closet! I can’t wait for the big reveal either! I’ve taken to examining every inch of the pictures hoping there might be a slight pop of either blue or pink color somewhere! 🙂 Just for the record, I still definitely think those curtains are going to be blue. 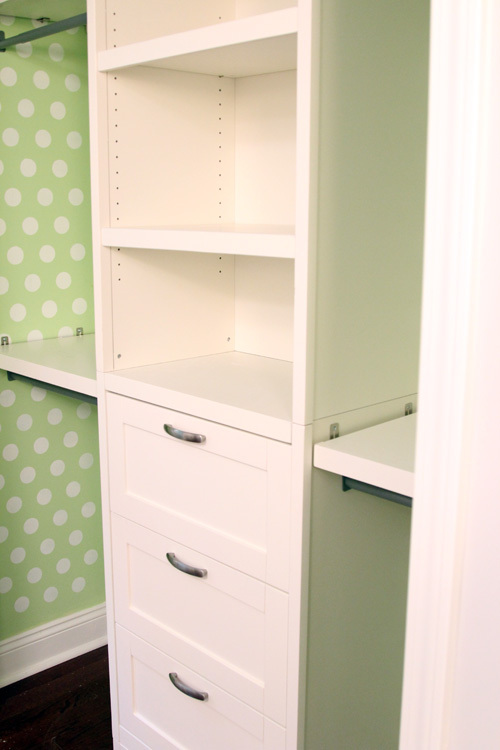 The closet is seriously adorable. I think it’s the spots that do it for me. 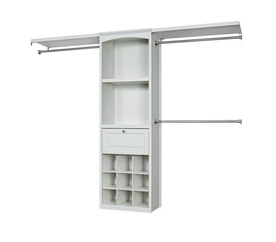 The closet system itself is pretty sweet. Are the rods that you found at Home Depot to fit the Martha Stewart brand? They are the right size but they have little metal pieces that poke out at on the ends just below the holes for screw, which won’t allow the rod end to be flush with the wall. Did your rods have those and if so how did you hang the rods? 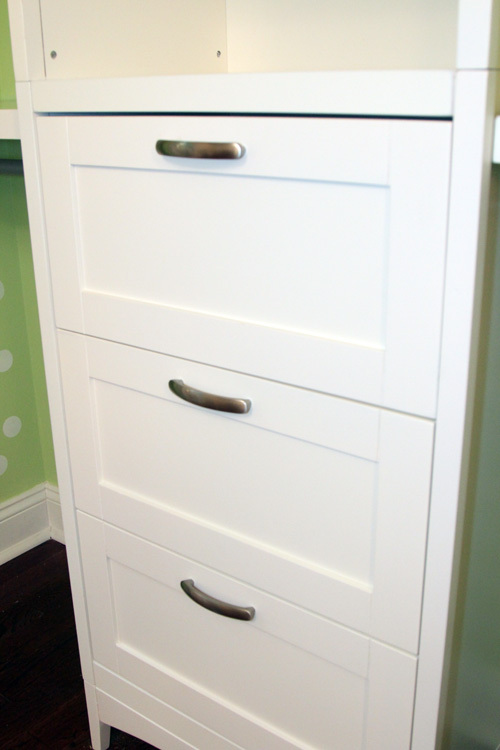 How did you get 3 drawers? I dont see where that is an option on the lowes website…help! It looks like you only get one drawer and the shoe rack and my hubby only agreed to the unit for a nursery if we could get the 3 drawers! Two of the drawers were add ons. You can put a basket in their place as well! For the soft close drawer, I get a springing sound when I pull it open. Did you guys experience this? If so, how did you correct it? Hm nothing out of the ordinary, there is a slight resistance to it when you open it, but no real noise. The resistance actually works out well because it makes it harder for the baby to open it. 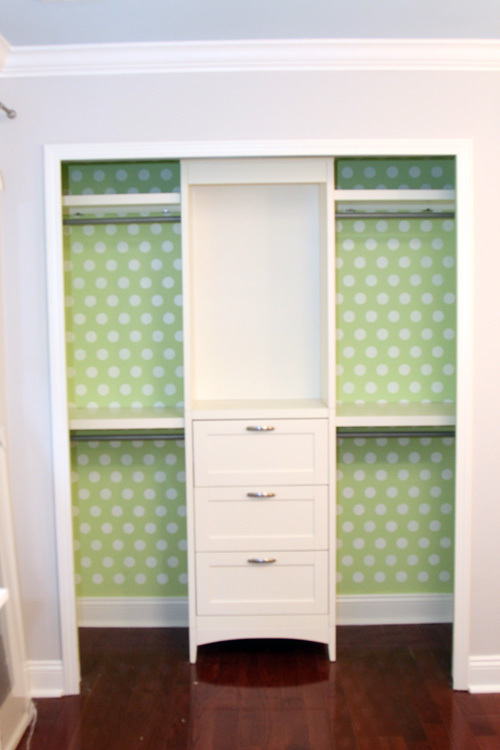 Love it….I want to redo my closet and this gave me some ideas…thanks looking forward to other post on the babies room!!! 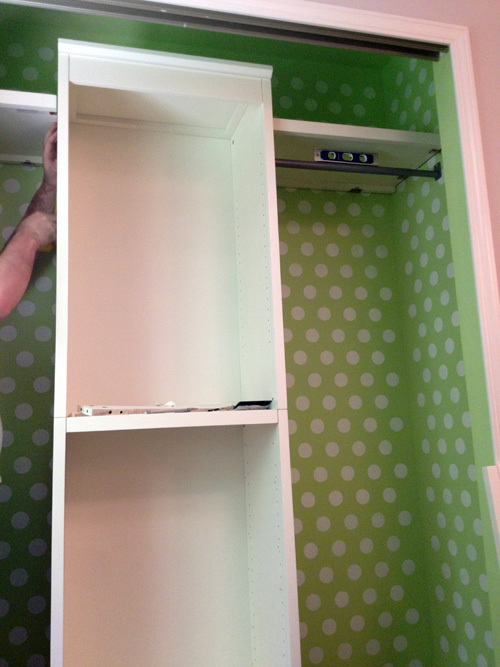 Can your hubby give a detailed run down of installing the shelves? 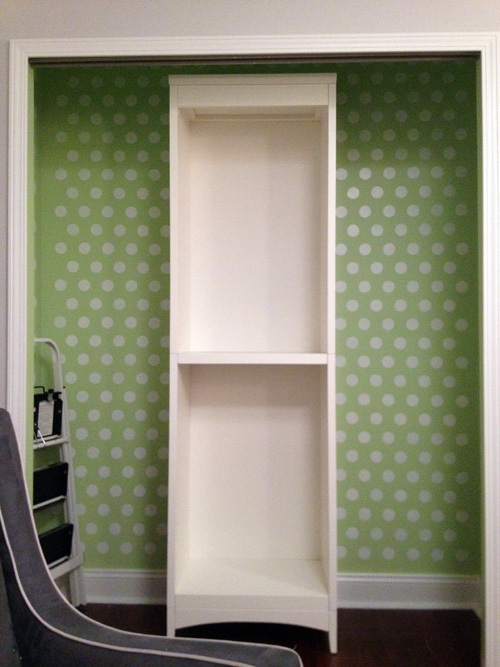 This is perfect for our nursery closet! This looks great! I would love it if you joined and contribute your awesome posts at my link party at City of Creative Dreams, starts on Fridays 😀 Hope to see you there at City of Creative Dreams Link Party. 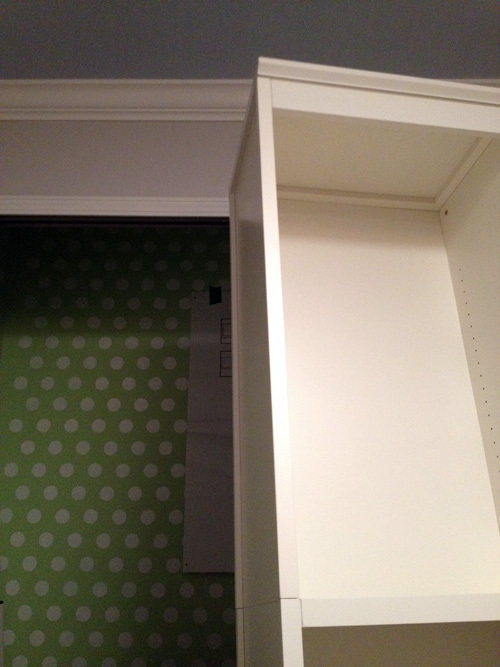 We installed this same closet system in our nursery but it has a yellow tinge to it next to the white trim of the closet. It says its white on the box but it just doesn’t look pure white. Is it the same with yours? Looks good…. How did he cut the shelves? 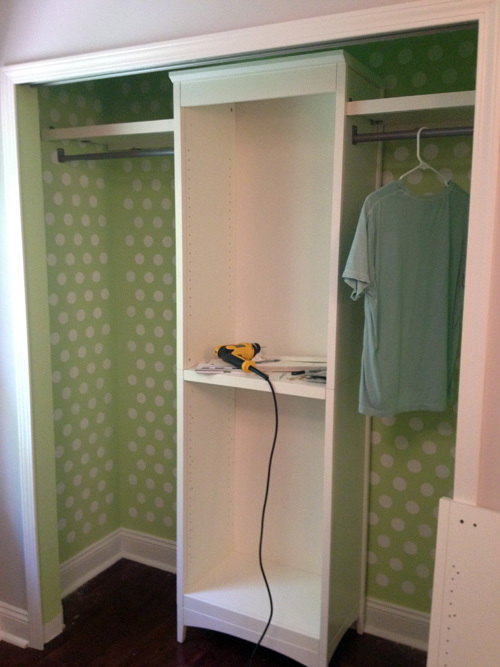 I’m trying to use a circular saw and I’m getting splintering on the cut…. Thanks! I would love for you to check out my blog and hopefully you will want to follow me back. Have a great evening!